where is the secondary camera? Is it possible that one does not have it or its just a specification mistake? 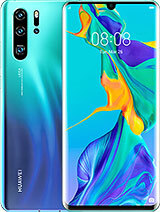 i'll be one of the owner of this phone soon.. Havent touched yet, but i think its one of the best..
[deleted post]Hehe... that's really a good way. First praise everything abt nokia and than put "sarcasm" in the last and that single word completely reverses the comment. [deleted post]The Nokia N8 and the Arc forget those boring phones get the Iphone 4, Samsung galaxy S II orthe LG optimus 3D. Prasanth, 11 Apr 2011Got ma own Xperia arc few days back. its usual that whenever we look for mobiles of cost more... moreRubbish i have tested the Arc for a danish side, i had Iphone 4, Samsung Galaxy s II and HTC HD in the test, nophone runs as smooth as the Iphone, Samsung was the one that had the biggest pack, HTC is the same over and over they are putting phones out all the time and there is nothing much new in there, the Arc is that smooth as the Iphone and Samsung, the screen is great, but the phone is no match for Iphone, Samsung Galaxy s II and the LG optimus 3D. i really dont know why people are tending to buy this..........no really. first of all u can buy an accessory pad for a galaxy or iphone and u get bottons easy..maybe it cost like $20-50. 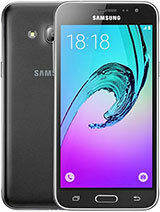 buy something like galaxy 2 and get an accessory u get best screen + more advanced features. or go for iphone since most games release on appstore first and then to android store. in my opinion this phone is for people who dont either own an iphone or android devices b4 and right now. dont waste money on this. Dr Leo , 12 Apr 2011I just got my experia arc, I use it with t-mobile the problem is that it doesn't have 3G nor4G... moreBtw the "E" on your signal idicator on your phone stands for EDGE, which is a one level below your 3g. It should either be a setting on your phone, your service provider or the reception you have in your area. 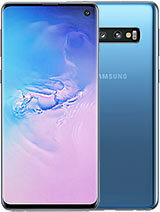 i love this phone but the only thing i don't like about this set is the color options.Both silver and misty blue are the worst things that could have happened to this set.waiting for white and black color. Dr Leo , 12 Apr 2011I just got my experia arc, I use it with t-mobile the problem is that it doesn't have 3G nor4G... moreThat's weird. I only get the E sign when I'm down at my building's basement and there's absolutely no signal in there. Have you tried checking your carrier's APN settings?